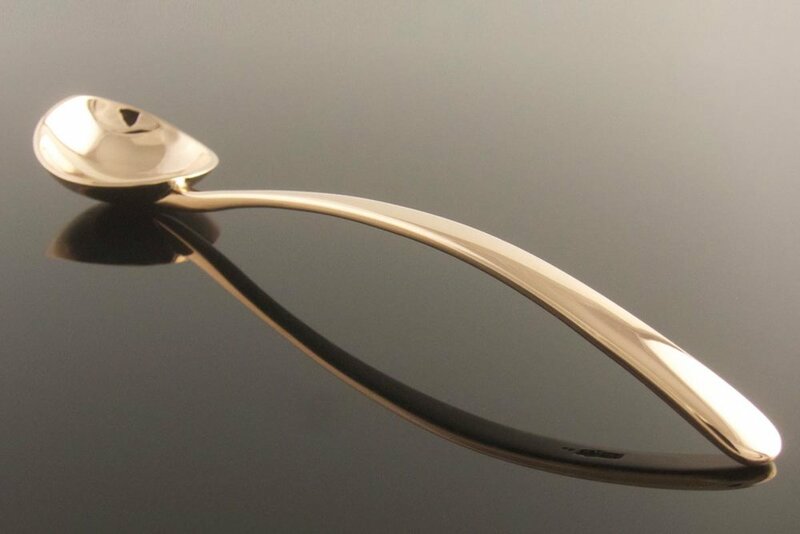 When my nephew was born, nearly ten years ago, I decided to make him a silver spoon. It was to mimic the shape of his favourite plastic spoon with a narrow bowl for his little mouth and a wide softly rounded handle for his pudgy little hands to grip. I cut the outline from 3 or maybe even 3.5mm sheet silver and created a wooden form on which to shape this soon to be prized posession - both functional and wonderous, I imagined. Weeks turned to months and months to years and to my shame the silver spoon is still unfinished, waiting to be dusted down, trued up and given to the next, next-generation. 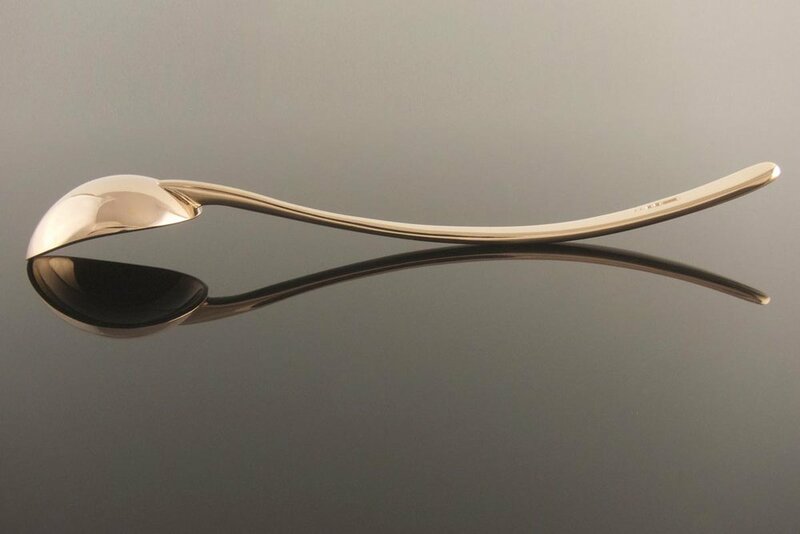 So when I was asked to make a gold spoon for another 1 year old I couldn’t resist the chance to redeem myself and make baby a baby spoon. Using recycled metal for such a large object was always going to be a challenge, but happily the gold melted well and reworked a dream. 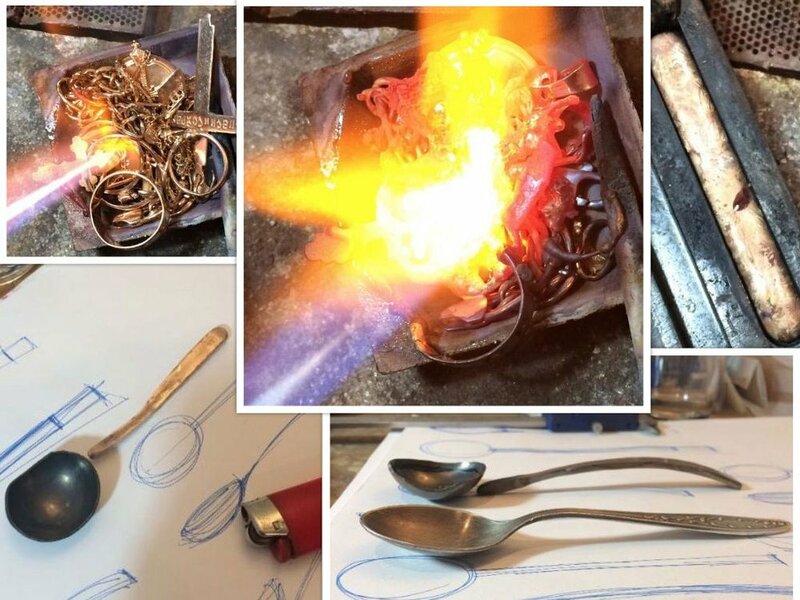 The following are pics of the making, his mum’s own silver spoon given to her as a child and the finished gold spoon. In truth it’s no baby spoon at all, rather an heirloom to be passed on for generations - assuming baby doesn’t take a notion to recycle it that is!